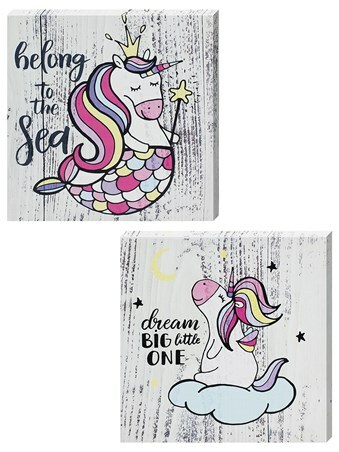 Chance upon a fantasy wonderland each and every time you gaze upon these beautiful canvasses. 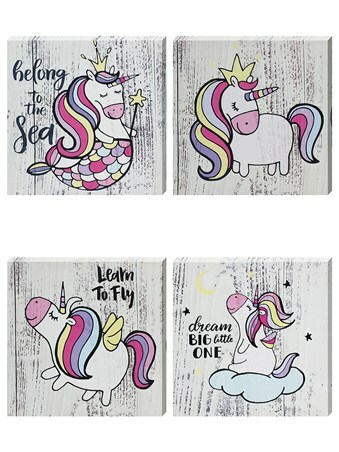 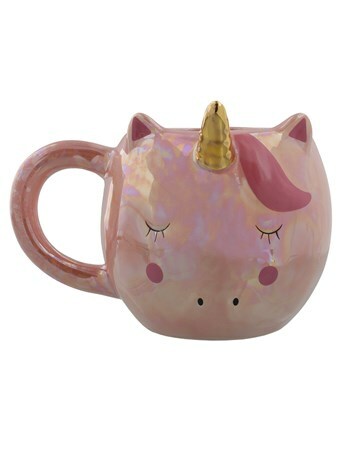 Featuring 4 charming designs of sweet and innocent Unicorns, this is the perfect way to dress your home to transport you to a far away land of fantasy beasts. 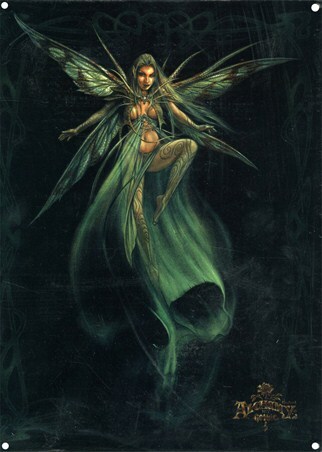 'Learn To Fly', Dream Big' or 'Belong To The Sea', in a fantasy world where there are no boundaries. 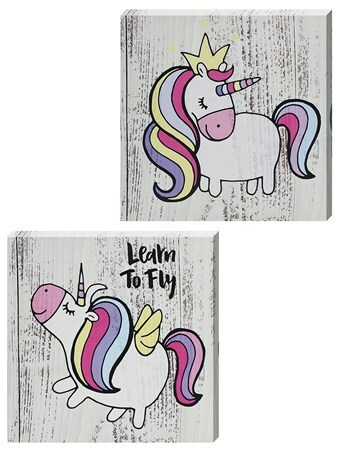 A magical way to decorate your little angels bedroom or inject some much needed colour into your everyday life. 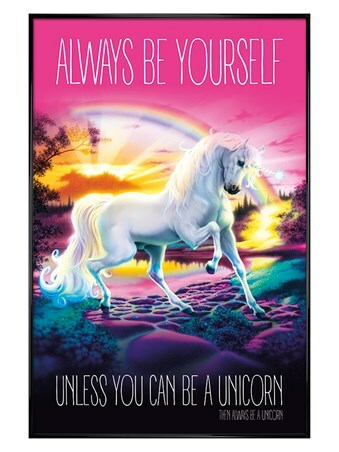 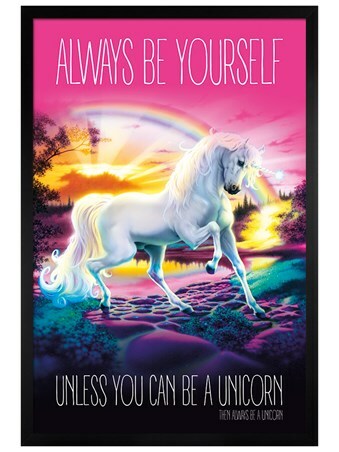 High quality, framed A Fantasy Quartet, Unicorn Dream canvas print with a bespoke frame by our custom framing service.